I picked these up in January. Thanks Bob! After having them in and out a couple times, I think they are situated OK for Krista. It will take some test drives. If it looks like a win, we'll get them re-upholstered. The rear Mustang bolt pattern fits directly on 8mm bolts. The fronts are drilled into the seat base using 3/8" bolts with lock washer. The stock 70s seats used 3/8" spacer between the slider and seat bottom at the front side of the seat bottom. These are set up different with 3/4" spacer in the rear. With new foam, we may need less lift in the rear. 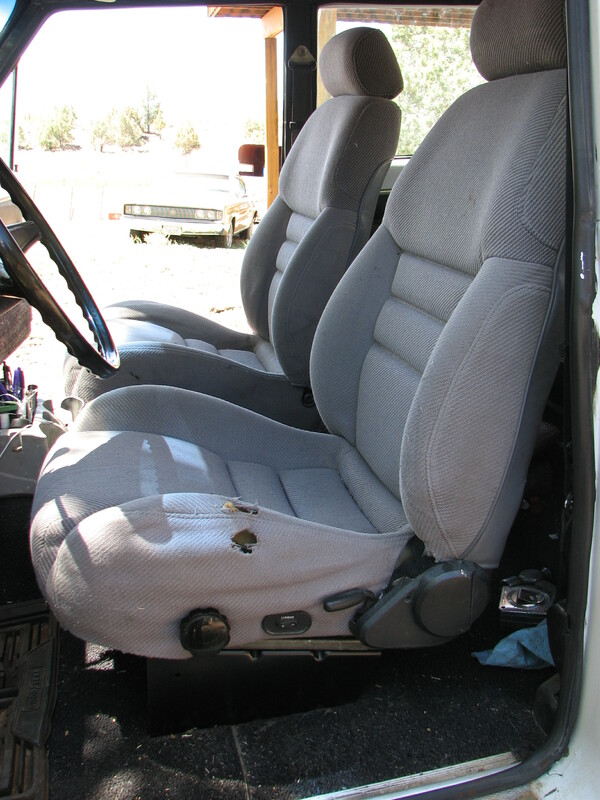 We have come a long way from the original bench seat. Those should offer quite a bit better support over the stockers. They should be more comfortable for sure. Good luck with the install. Keep us posted. Those seats look eerily familiar! If they are my old ones they’re from a ‘94. Hook up the lumbar supports, way worth it. I couldn’t drive my ‘88 w/o them inflated to max @ least with Mark VIII seats that took their place.